Our artist of the week was J Cole. He is one of our favourite artists so we had a lot to talk about. We agreed that mixtape Cole is our favourite Cole with classics like The Warm Up and Friday night lights being our standouts. Moving on to his albums we all said this man could do no wrong, even when releasing albums like his newest one, 4 Your Eyes Only, that no one expected, he managed to pull off a unique concept that left most of his fans happy. Our favourite albums however had to be Born Sinner and 2014 Forest Hills Drive, but we still had a lot of love for A Sideline story. It’s difficult to name artists from whom we enjoy every album they release, but Cole is definitely the exception to this rule and we’re excited to see what he does next. 6lack promised to release some new music last week, and he did exactly that. We were all expecting some new singles to keep the audience happy before he drops another album or mixtape. However, he decided to drop a deluxe version of his 2016 album Free 6lack, which included 3 bonus tracks. The tracks are as follows, Glock Six, In Between featuring Banks, and One way featuring T-Pain. All three songs are great tracks and an amazing addition to his album. They fit in perfectly, and stay consistent with the vibe of the other songs. We agreed that Glock six was our favourite, but T-Pain does not fail to bring the R&B vibe in One Way. We highly suggest you give the bonus tracks a listen, they will definitely get you amped and excited for a new album from 6lack. 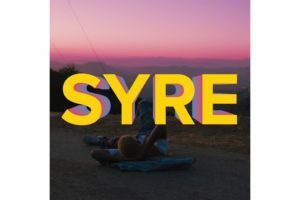 Jaden Smith dropped his debut album Syre this past week featuring artists such as A$AP Rocky. It has been a long time coming, as he has been dropping singles for what feels like his whole life. For the past three years, Jaden has been teasing at a debut album and finally he announced it last month, and released it thereafter. We talked about how the album was critically received with many people in the hip hop audience. It put Jaden on a platform that he was not on before, as people are actually starting to recognize him for his talent. The album has 17 songs, and some that we pointed out were Batman, Icon, and U. We also discussed how Jaden may have been hard to listen to previously because he will always be Will Smith’s son. That may be a reason why people have not taken him seriously before and may not even as his debut album dropped.